How to limit survey responses to one? 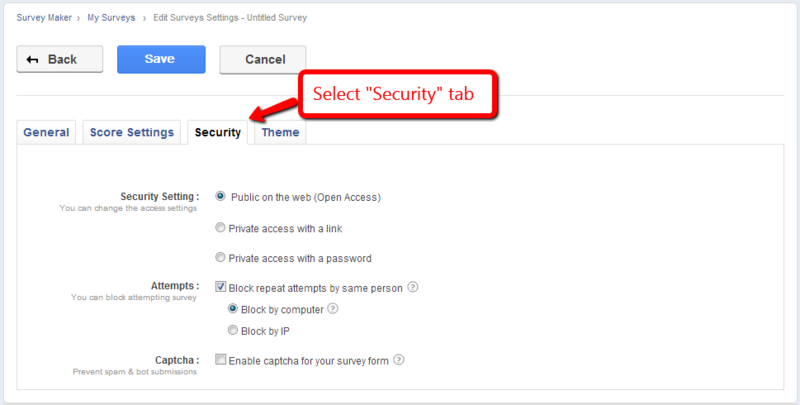 You can create secure surveys, which allow only one response per person. This is achieved by blocking repeated attempts from the same computer or IP address. Step 1: Go to "Edit Settings" and click on "Security" tab. 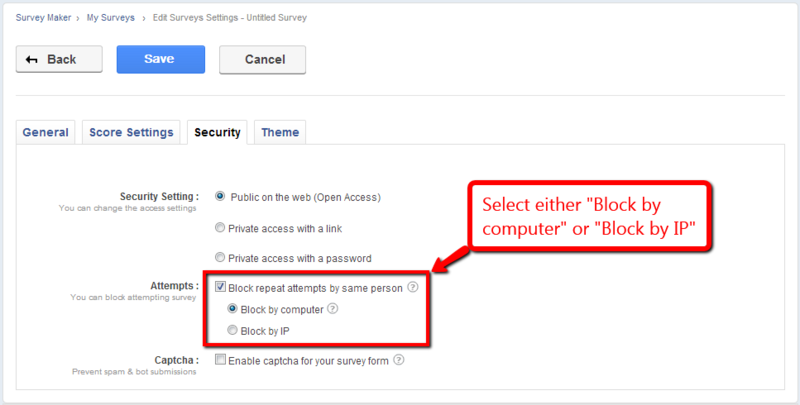 Step 2: Check the box called Attempts, and select either "Block by computer" or "Block by IP". Step 3: Save you settings and you're done. Step 3: Save you settings and you're done.